Los Angeles DUI attorneys continue to watch with dismay as ball players around the country are caught driving under the influence. 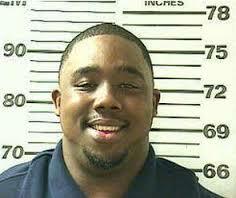 Nick Fairley of the Detroit Lions continues to battle a DUI charge in Mobile, Alabama. Law enforcement arrested Fairley in his hometown after pulling him over for speeding in excess of 100 mph with an open alcohol container. He rejected a plea deal in 2014, and he now faces jail time and fines if convicted. According to The Detroit News, Fairley’s future as a contract player for the Lions remains uncertain. He did not receive the 5th year of his existing contract. Trustworthiness will likely play a part in whether he will remain part of the team in the future. Meanwhile, Victor Robbins, a junior Oregon State basketball player, also faces an uncertain future as part of his team. He received a DUI related driving citation on February 11. The citation came close to the end of a previous 10-game suspension. His school extended the suspension indefinitely in the hopes that Robbins will regain his bearings before playing for the team. Oregon State’s basketball coach issued a press release indicating the team’s support of Robbins as he works through “some issues.” The school plans to maintain all academic and financial support and hopes for his full recovery. These cases both feature young, male ball players who were successful in their sport. The choice to (allegedly) drive under the influence has left them both with precarious futures. A successful outcome in Nick Fairley’s case may or may not impact the overall direction of his football career, but Victor Robbins could lose the chance to play for the rest of his college career. A Los Angeles DUI arrest, even without a conviction, can lead to long lasting, serious consequences.